Specialised prosthodontic treatments for patients throughout Northland. 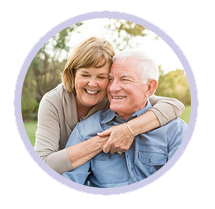 Talk to us about dentures, missing teeth, worn out teeth, gappy smiles needing cosmetic dentistry, veneers, crowns (caps), bridges and implant crowns. An implant is an artificial tooth root that is surgically anchored into your jaw to hold a replacement tooth or bridge in place. The benefit of using implants is that they don’t rely on neighbouring teeth for support and they are permanent and stable. Implants are a good solution to tooth loss because they look and feel like natural teeth. Implants do not usually involve other teeth. Unlike bridgework or partial dentures, they do not compromise the health of the remaining teeth. Implants reduce further shrinkage of the jaw bone. Once the implants are placed into your jaw, they act like natural teeth so that further shrinkage of the jaw bone is greatly reduced. Implants usually look, function and feel like natural teeth. Implants are an extremely successful form of tooth replacement. Implants are very cost effective in the long term. While initial costs are high, because of their long term success, future costs are low. In other words, usually there are three stages in carrying out implant treatment and there are three components associated with implants, and during each of the three stages, one of the components is placed in your mouth. During the Stage I procedure the implants are placed into the jaw. They remain within the jaw below the gum for a number of months to allow the bone to fuse to the implant(s) until the Stage II procedure is carried out. The time between the Stage I procedure and the Stage II procedure for lower teeth is approximately 4-5 months. The time between the Stage I procedure and the Stage II procedure for upper teeth is approximately 6-7 months. At the Stage II procedure the second component, which is called the abutment, is connected to the implant. Following the Stage II procedure usually a temporary crown or temporary bridge is placed. Stage III which is the final prosthodontic stage is then carried out. This usually takes between one and two months once Stage III has commended. The total time for teeth to be inserted (either temporary or final) for the lower jaw is usually approximately 6-7 months and for the upper jaw is usually approximately 8-9 months. There are two aspects of success which require consideration, these being the success of the implants to fuse to the jaw bone and the other being the success of the crown or bridge attached to the implants. In general terms the success rate of implants fusing to the bone in the lower jaw is approximately 95%-98% and the success rate of implants fusing to the bone in the upper jaw is approximately 90%-95%. The longevity of the crown or bridge attached to the implant(s) is usually 10 years plus – see the section below on warranty. In patients who are smokers, the success rate of implants fusing to the jaw bone is reduced. This is because smoking reduces the blood supply around the implants and this in turn reduces the chances of the implant(s) fusing to the bone. Thus we strongly encourage implant patients to stop smoking for at least two months before and two months after the Stage I procedure. When teeth are present and require extraction prior to the placement of implants, there are usually three possibilities of when to extract the tooth/teeth. The tooth/teeth are extracted and the implants are placed several months later. Which method of treatment is required will depend on a number of factors and will be outlined and discussed with you. Sometimes there is insufficient jaw bone remaining to place implants. At this stage we may require additional procedures to make the placement of implants possible. If the additional procedures are required they will be explained to you. There is usually little discomfort or pain experienced to place implants. In general terms you can think of having one implant placed as being equivalent to having one tooth extracted. For instance, having four implants placed would be equivalent to having four teeth extracted etc. Usually the more implants that are placed, the longer the recovery. Generally we would recommend that following the Stage I procedure for one or two implants you will require between 1-2 days of avoiding strenuous activities. When more implants are placed, such as for a full jaw of implants, we usually recommend one week for recovery. However, the recovery period will vary depending on the number of implants placed and each person’s individual recovery rate. The Stage II procedure usually requires less time off work. The treatment for the final prosthodontic phase is similar to more conventional crown and bridge dentistry and requires similar dental appointments. Do I have to have an anaesthetic? There are various ways the treatment can be carried out. The procedures can be carried out using local anaesthetic in the dental chair, or alternatively intravenous sedation or a general anaesthetic. The method chosen will depend upon the number of implants being placed and also your preference. Usually the more extensive the treatment is, and the more implants that are being placed, the more likely we are to carry out the procedure under a general anaesthetic. Also it depends on how apprehensive you are. The more apprehensive you are, the more likely it is that the treatment will be carried out under a general anaesthetic. Do I have to leave my dentures out during treatment? In most cases involving one to several teeth you will usually be able to wear your existing denture(s) during the time required for treatment. In some cases, especially if you wear full denture(s) you will need to leave the denture(s) out for approximately 10 days following the Stage I procedure and again for approximately 10 days following the Stage II procedure. At all other times you will be able to wear your dentures. Please also note that the denture you will need to leave out only relates to the area of your mouth in which implants will be placed. For example, if you are going to receive implants in the lower jaw you will be able to wear your existing denture in the upper jaw at all times. Am I suitable for oral implants? In order to evaluate the suitability of each patient for implants, various procedures are required. The procedure will vary depending on which tooth or teeth require replacement with implants. We may need a relatively simple evaluation which involves impressions of your teeth and a few small x-rays. Evaluation may be more extensive and include a “mock up” of the finished teeth and tomographs or CT scans. This will depend on each case and the costs and procedures involved in the assessment will be outlined to you before commencing. Please note that the assessment of suitability regarding implants will incur a separate fee from the costs associated with the implant treatment itself. This is because following the evaluation we may find that it is not possible to place implants. Also not everyone will proceed with implant treatment following their assessment. Obviously the costs of assessment and evaluation will be incurred regardless of whether you are suitable or whether you proceed with treatment. There are usually very few problems associated with implant treatment. One problem that may arise is in a situation where the implant “doesn’t take”. That is, the implant doesn’t fuse to the bone. This means that instead of the implant “fusing” with the jaw bone itself, the gum rather than the bone grows between the implant and jaw bone. In this case, the gum is not strong enough to hold the implant in place and thus the implant cannot support a crown or bridge and the implant requires removal. If this is the case, most times we become aware of this at the Stage II procedure or shortly after. As outlined above, the chances of the implant “taking” to the jaw are very high, being 95%-98% in the lower jaw and 90%-95% in the upper jaw. However, if the implant is removed, it is usually possible to attempt a new implant some 6-12 months later. Infection may arise. However, this is rare and is usually treatable with antibiotics. In the long term it is usually not a problem. Adjacent anatomical structures, such as nerves, the maxillary sinus, the mandibular nerve or adjacent teeth need to be avoided during surgery and individual situations will be discussed with you depending on which area of your mouth the implants are being placed. There are a number of aspects involved with the overall treatment which you need to be aware of. There is considerable extra training and expertise required to be able to carry out implant treatment. The implant, abutment and crown are usually made from titanium, gold and porcelain and there is also the laboratory fee as well as the materials used. The extra equipment, staff training and facility costs needs to be factored into the overall cost. However, while initial costs are relatively high, the long term benefit and cost effectiveness often makes implant treatment the best choice of treatment to replace missing teeth. The most usual maintenance regime consists of examination and check-ups at 1 week, 1 month and then at 3, 6 and 12 months following the insertion of the final crown or bridge or overdenture. Following that, examination and check-up appointments are usually either on a 6 monthly or 12 monthly basis. These sometimes involve the taking of x-rays and also sometimes the removal and cleaning of the prosthesis. You must attend for regular examinations and check-ups to be carried out at regular intervals. The check-ups will usually occur 3, 6 and 12 months after insertion of the prosthesis and thereafter either 6 monthly or annually. If a check-up is missed or delayed by more than 6 months, this may make the warranty null and void. If other areas of your mouth deteriorate to such a degree as to jeopardise the implant treatment, the warranty becomes null and void. Post-operative occlusal splints (bite guards), when these are required, must be ward to maintain the warranty. Brian talks about how implant dentures changed his life. What is an oral implant? What are the benefits of oral implants? How is implant treatment carried out? Why choose an implant bridge? Phone us on 09 430 0046 and ask for Yvonne or Carol.